Today, it was announced by Trinity Acquisition Corporation, or THQ, a game based of the upcoming Bratz movie, called Bratz: The Movie, would be released this fall for the Nintendo Wii, DS, GBA, and PC. Not going to buy it; not going to play it. Mario and Zelda in concert! 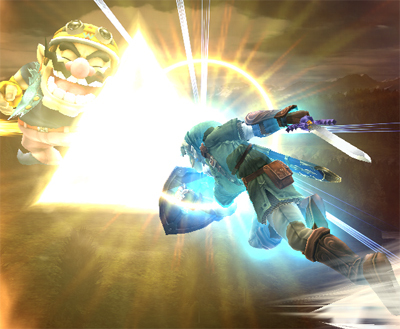 Today the DOJO added Link’s Final Smash. 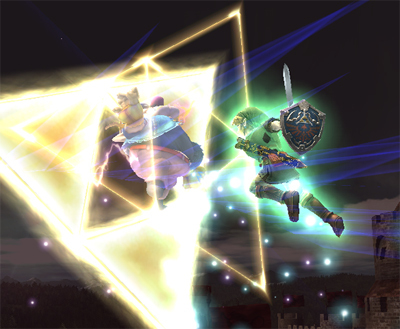 Link’s Final Smash is called the Triforce Slash. 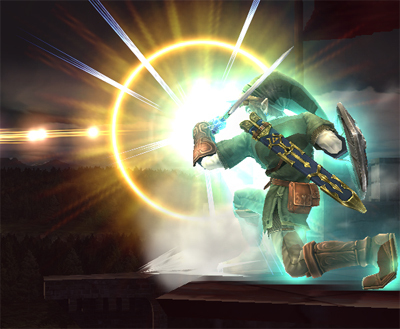 And then comes the finishing strike! SKRAAAAH! 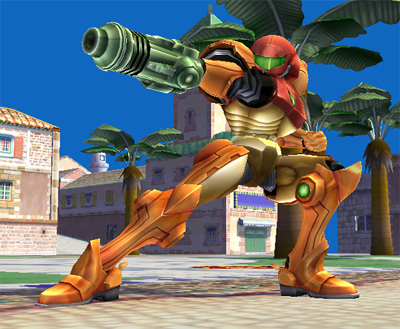 Last Friday, the DoJo added some pictures and little information on Samus Aran. Father’s Day is over, but the Wii Shop Channel has plenty of competitive games to keep pop hopping. Whether dad’s a golf fan, an overall sports enthusiast or just a guy who likes to rescue prisoners with his special forces buddies, this is the week for him. NES Open Tournament Golf™ (NES®, 1-2 players, Rated E for Everyone, 500 Wii Points): We all knew that Mario™ was a top-notch plumber, but did you know that he could also be a world-class golfer? You can challenge another player in Stroke, Match and Tournament modes. Play on three fantasy courses in the USA, the UK and Japan and try to win a million dollars. Make sure you keep an eye on the wind and distance to the hole before selecting your club, or else you’ll be racking up some high scores – which is exactly what you don’t want to do in this game. Whether you’re a beginner or an experienced golfer, NES Open Tournament Golf is perfect for those days when you just can’t get to the local golf course. World Sports Competition (TurboGrafx-16, 1-5 players, Rated E for Everyone, 600 Wii Points): Play through a total of 18 Olympic events in this action/sports title. Players compete in six categories of events that include shooting, archery, rowing, swimming and track and field. 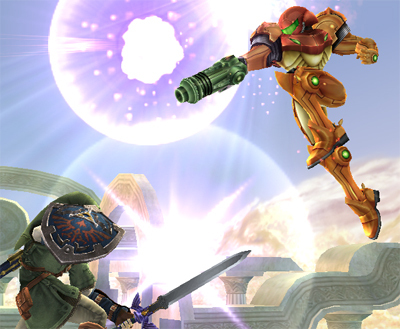 The game features Olympics mode, where you play all the events over the course of a few days, and Training mode, where you can choose individual events to play. After practicing in Training mode, go for the gold in Olympics mode and break world records. Depending on your play time and ability, you can enjoy the game a number of different ways. Gather friends and play in competitions with up to five players to get even more out of this great game. Bloody Wolf (TurboGrafx-16, 1 player, Rated E10+ for Everyone 10 and Older – Animated Blood, Violence, 600 Wii Points): Enter alone, deep into enemy territory to rescue the kidnapped President in this overhead-view action shooter. Take on the role of a commando in a Special Forces team and face your enemies with an onslaught of weapons, including machine guns and grenades. Earn valuable information, weapons and items by rescuing POWs. Fight your way to the end of each stage and defeat the boss by effectively using your weapons and equipment. This port of the insanely popular arcade game features refined graphics, story and cut-scenes, making this action game a must-have. This new and enhanced version includes the never-been-told second half of the story that was left out of the arcade version.